My excitement can’t be put into words–I’m beyond stoked to be spending tons of quality time with my husband as I achieve this goal. I think it’s funny how he nonchalantly fell into the sport, but I’m not complaining! He’s been doing a lot of the fourth sport of triathlon: shopping, and yesterday, Sunday, was our first triathlon race day as a couple. But, first! I had to make him one of my most important part of race day gear (and, as anyone who has done this type of race knows, there is a PLENTY of gear): a checklist! 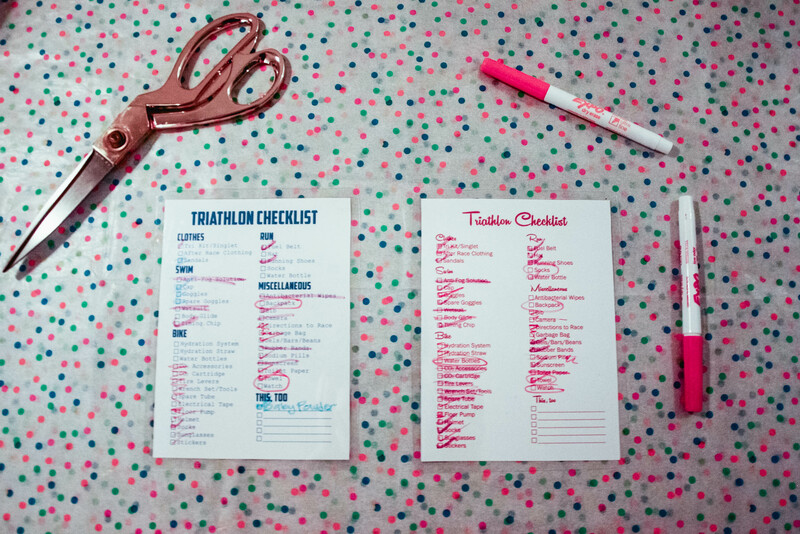 I made one for my 70.3 that I can use over and over again with dry erase pens and it was super convenient. 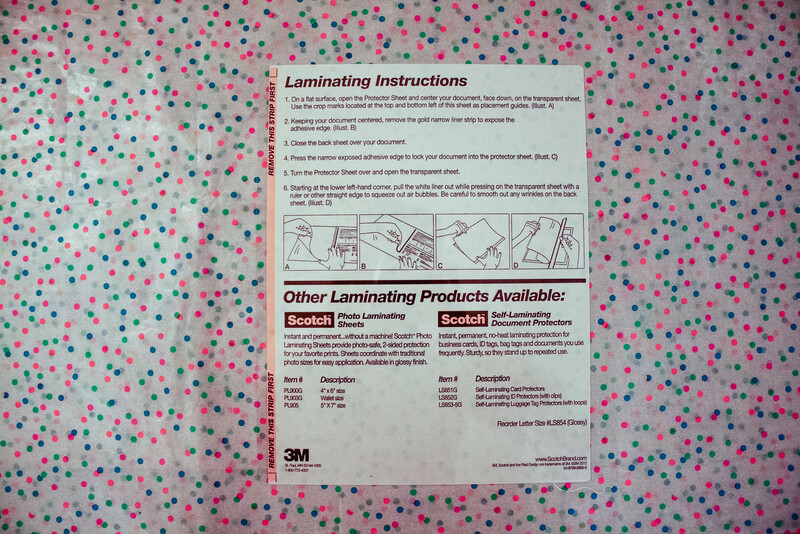 Get your hands on some self sealing laminating pouches. Space out the two lists in the pouches. Follow the instructions on the pouch. I recommend using ultra fine tip Expo dry erase markers if you’re particular, like me. Haha! I meant to pop over to your blog and let you know that I linked to your post. Whoops! That’s so cool. My hubs and I support each other, but have vastly different interests. We did, however, run a marathon together — side by side, his first) a few years ago. It was his idea! I had a blast, but I’m not sure he’ll ever do another… 🙂 Love the lists, too. You’re so creative and cute. Yeah, me and my guy can’t run together. He’s SO fast. We’re planning to finish the bigger races together but I’m not sure if he’ll really end up hanging back for me. I’m sure as he gets more into the sport, he’ll get more competitive and less willing. We’ll see.